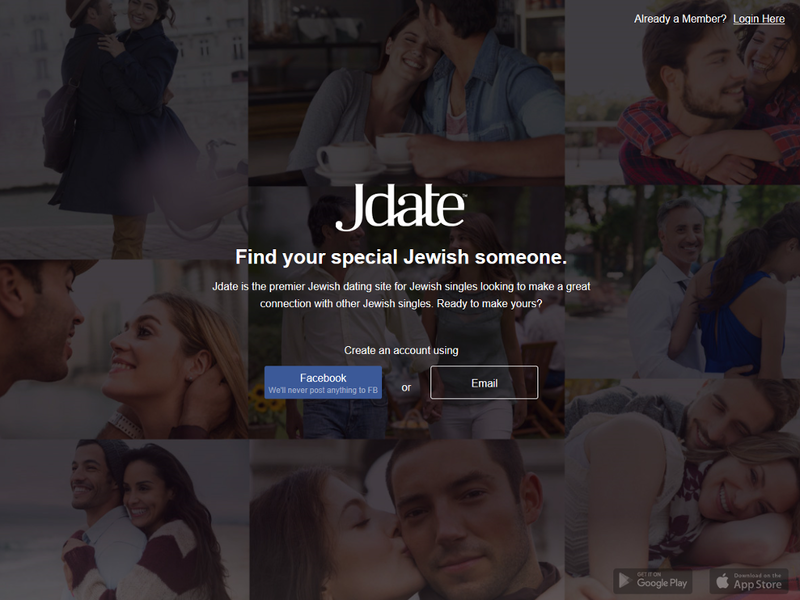 The New JDate Website and Dating Apps are Here! Earlier this month Jdate.com new makeover was launched along with an updated logo design. The JDate dating apps for iOS and Android also was updated to version 3.0.0 supporting a new and improved interface and features. Not to be left out, the JDate online magazine Jlife also got a face lift as well. All of these updates are designed with JDate users in mind and are focused on making the online dating experience easier, more streamlined, and engaging. One of the main changes includes profile browsing. It has been simplified offering 5 main options for sorting members including New, Online, Distance, Match %, and LookBook. Each of these views are based on what you are seeking (called Discovery Preferences) and include attributes like gender and age range. These can be easily changed on the browsing page (or on your profile) to refine your searching. 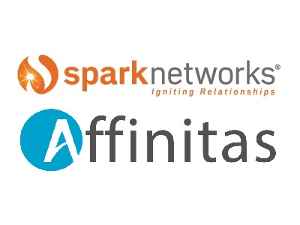 Spark Networks and Affinitas GmbH have entered into a definitive agreement to combine in a stock-for-stock merger. 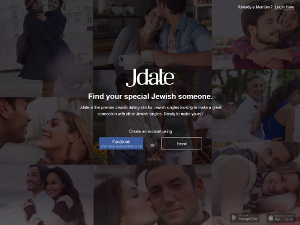 The merger will bring together leading global brands like JDate, ChristianMingle, EliteSingles, and eDarling to cater to a broad spectrum of users with a presence in 26 countries, creating a more diverse and balanced footprint. With nearly 500,000 period-ending subscribers and over $115 million in revenue for the twelve months ended March 31, 2017, the combined company would be one of the world's largest online dating providers on a pro forma basis. The transaction has been approved by Spark's Board of Directors and is expected to close in the fourth quarter of 2017. The combined company will be named Spark Networks SE and will be headquartered in Berlin, Germany, while maintaining a significant U.S. presence with offices in New York City and Lehi, Utah. With the amount of media attention Tinder receives, you’d think it was the only dating app on the market - or if not the only option, at least the most popular one. But the numbers tell a different story. Technology company Quantcast reviewed over 480,000 searches from January 6, 2017 - February 5, 2017 to discover which dating services singles in America prefer. They found that not only do different states have different preferences, preferences seem to come in clusters. And they’re not always what you’d expect. Overall, old-school dating service PlentyOfFish won the most states with its free app. It may not have the hype of its newer, fancier competitors, but in this case slow and steady won the race. 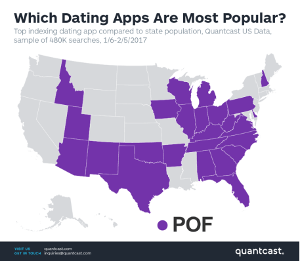 POF was especially popular in the south, southwest, and midwest. Christian Mingle and JDate are having a sale on subscriptions to celebrate Valentines Day. The sale starts February 9th and runs to February 14th, 2017. During this time you will be able to receive 20% off a 3 month and 30% off a 6 month subscription. No coupon is required for this sale which appears automatically on the upgrade page. 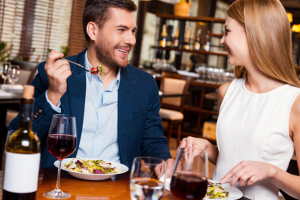 Both Christian Mingle and JDate have been matching singles since the late 90s and are Spark Networks flagship online dating services. You can access the faith based services via their websites and dating apps which are available for Android and iOS phones. For more information about these popular dating services please read our Christian Mingle review and our JDate review. The 2016 Dating Sites Reviews Single's Choice Award poll was launched on October 13th, 2016 and in two and half months closed for voting on January 1st, 2017. By this point it had 407 people cast their votes. For the first question of the poll, it asked our visitors what paid dating site or app would you recommend for the Single's Choice Award. Voters had an option to select from 10 possible answers of the top dating services of 2016 (as chosen by the Editor's). This is 2 more dating services to choose from compared to last year. For this award the top voted service receives Gold, followed by Silver, and for third, Bronze. The recipient of the Gold 2016 Single's Choice Award is Match.com. Match received a total of 83 votes which worked out to 20.4% of all votes cast. This gave match a strong 6% lead in votes when compared to the dating service which received the Silver. The recipient of the Silver 2016 Single's Choice Award is eHarmony. This year eHarmony received 57 votes which is 14% of the total votes cast. This gives them a solid position over third. At the end of this year eHarmony went through a number of changes including updates to their relationship questionnaire and expanding how matching works. It will be interesting to see how this affects things next year during voting. The recipient of the Bronze 2016 Single's Choice Award is Elite Singles. Elite Singles received 49 votes which is 12% of all votes cast. This is the first time Elite Singles took part in the Single's Choice Awards showing that their members believe in this new service.